We have not church yet, soon it will be established. We walk upon the faith. 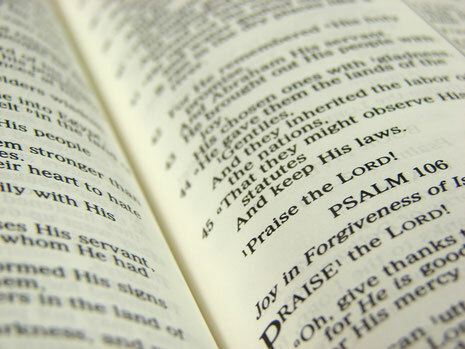 Our church believes that the 66 Books of the Bible <39 Books of the Old Testament and 27 Books of the New Testament> are the infallible word of God. We also accept all that are proclaimed in the Apostle's Creed. and sitteth on the right hand of God the Father Almighty; from thence He shall come to judge the quick and the dead. Also we acknowledge five offices of apostles, prophets, evangelists, pastors and teachers, as is written in Ephesians 4:11, "It was he who gave some to be apostles, some to be pastors and teachers. (NIV)"
We believe in the 9 spiritual gifts (including speaking in tongues, healing, and prophecy) of 1 Corinthians 12, and we practice them. As for the Holy Communion, in this service we treat the bread and wine not as a symbol but as the Blood and Body of Christ. We do not celebrate Christmas in our church because of the following reasons: there are no records of celebrating the nativity in the Bible; the date of December 25th is not historically the actual date of Jesus' birth; it took over a pagan festival of "the Unconquerable Sun (Sol Invictus)." However, since Christmas has a traditional significance today, we use this occasion for the purpose of evangelical meetings.